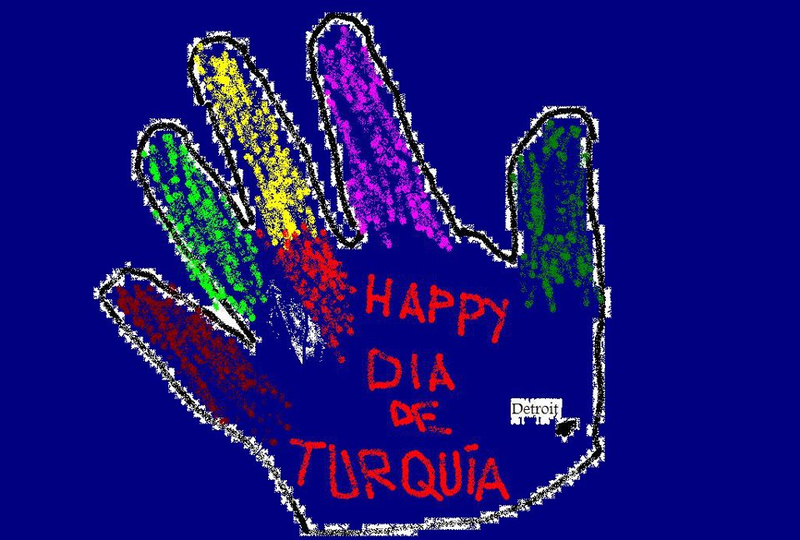 It is a colored hand, not even a turkey. And he didn't write his name on it. He didn't even trace his hand. He just used the instructions I made as a sort of template and made fun of me for spilling water all over my whole desk at work. Also he made the turkey literally "knife hands." 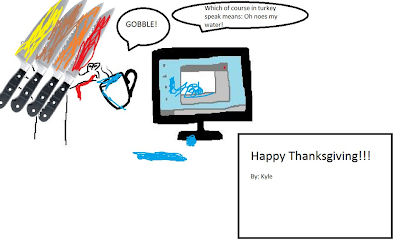 He looked up pictures of actual turkeys and obsessed over details. And then added a copyright symbol on the image. 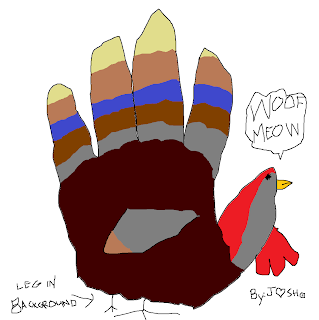 It isn't even a hand turkey but it is somehow better than all the turkeys submitted by adults. So.. she wins the $5. 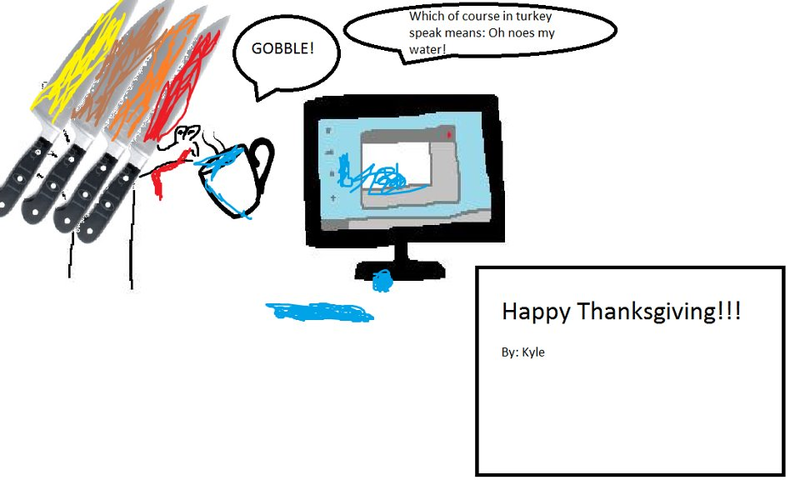 THANKSGIVING yesterday.. what am I thankful for? I think my niece put it best when she said that she was thankful for "love." AW! I like them all. 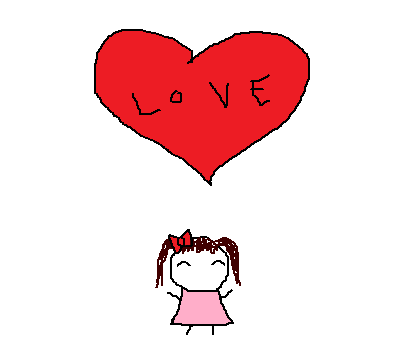 I would have drawn one for you, but i didn't know it was going on. I'm a terrible, but loyal, follower. HAPPY BIRTHDAY TODAY! Make a birthday blog! I don't even remember what I was doing on my birthday. 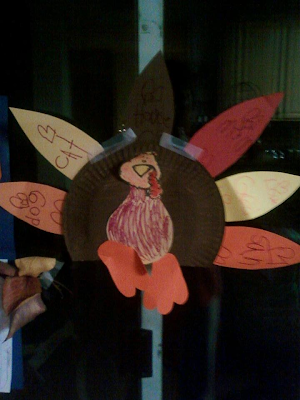 But there's always next year's Thanksgiving for turkey making!